My colleagues in meteorites, Geoff Notkin and Steve Arnold have hit the big time. 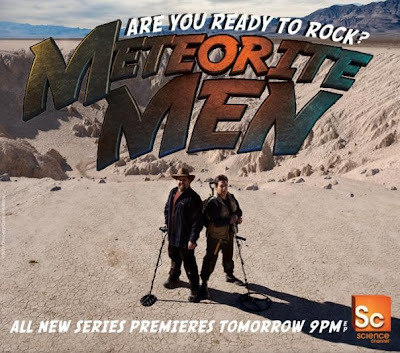 Last May their show Meteorite Men debuted on Discovery's Science Channel. Due to popular demand, hardly surprising if you know these two great guys, Discovery picked up the show. They've filmed six new episodes which begin airing tonight. Here's one of the promo posters, pretty hilarious!